Check out this amazing 2-in-1 reversible bib and burp cloth. 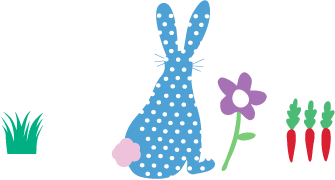 It's made from chemical free organic cotton muslin and features a colourful hopping bunny all-over print. It's a super practical must-have baby essential item, combining a super absorbent reversible muslin bandana bib which opens out to create a handy burp cloth too! Use this double thickness muslin as a bandana bib - it can be worn both ways and it's perfect for a quick switch if needed. The bib then opens out for use as an absorbent burp cloth, perfect for wiping dirty faces and burping baby. The muslin square also functions as a baby comforter too - tah dah! Unfolded this muslin measures 35 x 35cm.